Sanding walls smooth after stripping wallpaper. 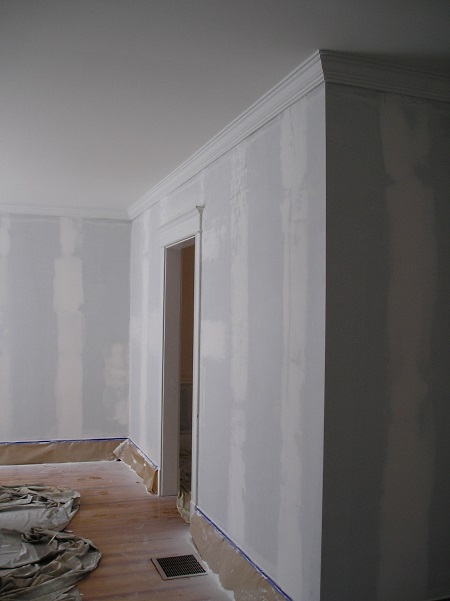 If you’ve gone through the hassle of removing old wallpaper before painting, congratulations! The worst part is over. What do you do now? Thankfully painting after removing wallpaper involves just a few simple steps. Wallpaper usually leaves some glue behind when it’s removed. 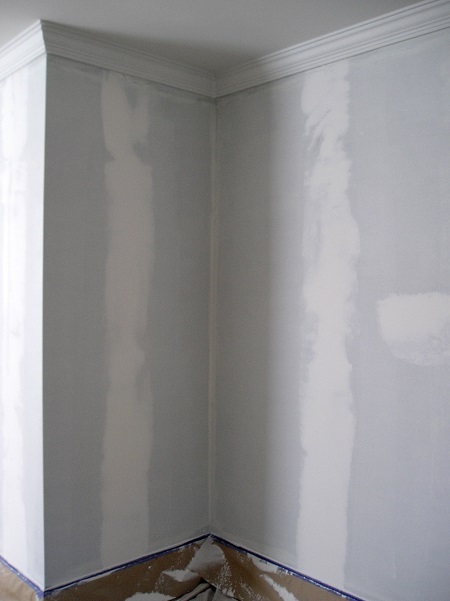 Use TSP (trisodium phosphate) or a solution of vinegar and water to wash the walls. Scrub gently, and try not to get the wall too wet. TSP can be tough on your hands, so wear gloves when using this product. Don’t worry about getting every last bit of glue off, but do try to remove all the backing paper if possible, because it will show through the paint. Rinse the walls with warm water and allow to dry completely. 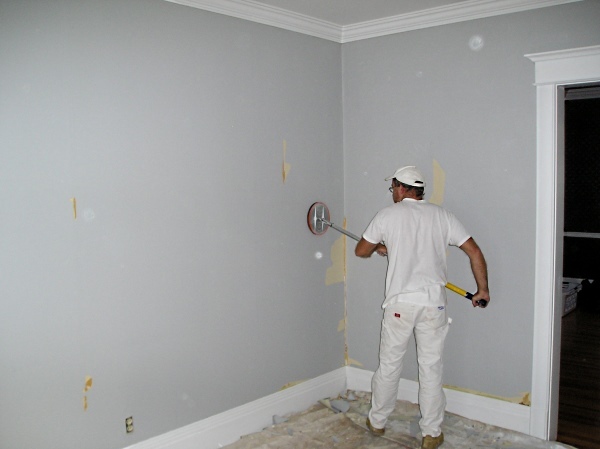 It’s not uncommon for wallpaper removal to cause some damage to the wall beneath. Use joint compound and a wide putty knife or drywall knife to fill in any dings or gouges. Do a skim coat over any remaining backing paper. This should keep the edges of the paper from showing through the final finish. Allow to dry, then sand smooth, feathering the edges.